Do you have a favorite fall color? Mine is yellow. I just love its bright, powerful energy and how it symbolizes, at least for me, hope. But if you’re gazing at today’s image, the novice eye might mistake it for something else. 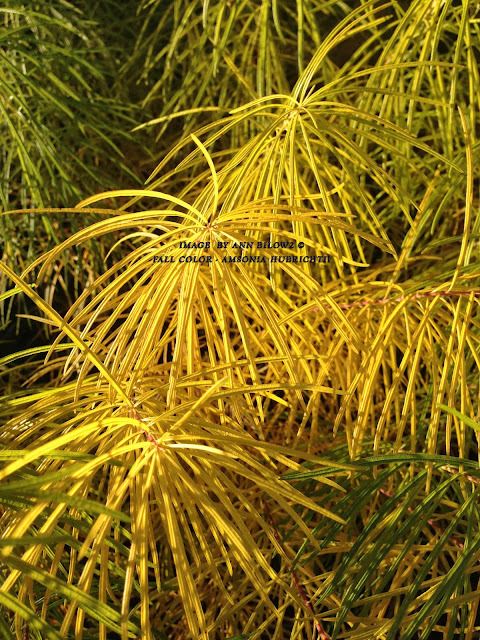 Possibly the needles of a Pine tree but this wispy colorful texture is the fall foliage of our first place backdrop perennial, Amsonia hubrichtii. Why is it a favorite? First and foremost, this stunning plant stays fresh; it doesn’t slump or lose its height, look and feel. That’s why it’s the perfect backdrop perennial, taking the number one slot in our ‘plant of choice’ book. Adding texture, bloom and character to your perennial borders is what planting layout is all about. Now for the plant basics: Amsonia hubrichtii is versatile; it can handle full sun or partial shade. Plus it’s not a fussy, finicky one; in average soil, it can still take off. Hardy for zones 4-9, you can find it in many regional landscapes, especially since the Perennial Plant Association awarded it the title ‘Perennial Plant of the Year’ in 2011. We loved it way before then but we’re so ultra-glad it received its due recognition for its dynamite credentials. Now it's a known entity; not just to plant lovers. So back to reality. 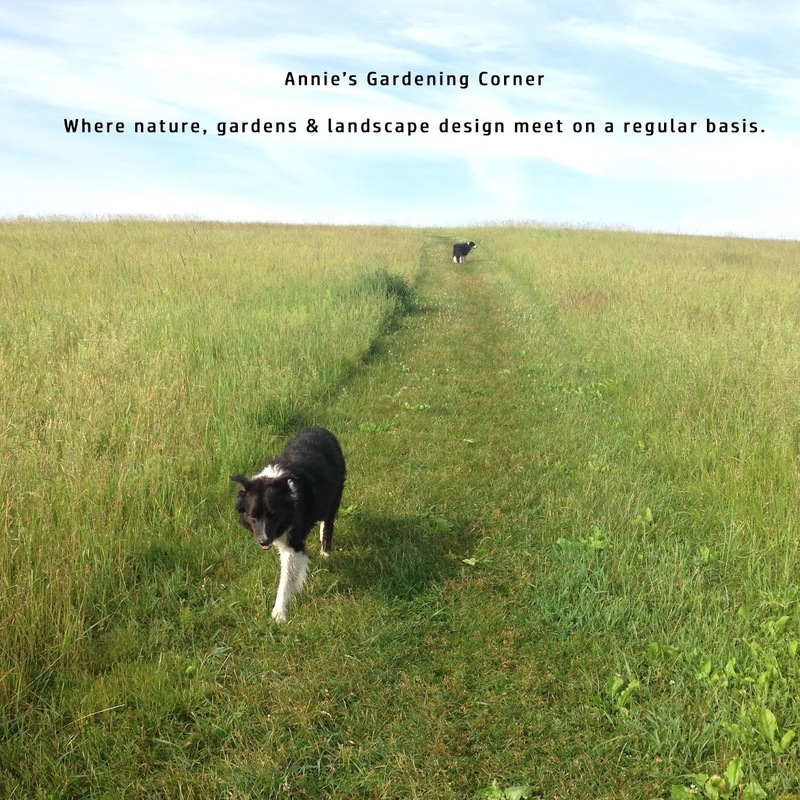 It is October and often times we aren’t thinking what to plant in our perennial borders. But please make note of what offers beautiful fall color, particularly if you love yellow and how it radiates in a landscape. Yeah, I may be on a yellow kick the next couple of days. It is my favorite fall color. As Emily Dickinson once penned, “Morning without you is a dwindled dawn.” I just love yellow. I love when the sun comes out. And when overcast days are upon us, there’s nothing better than a splash of yellow in the waning perennial borders to help us out.